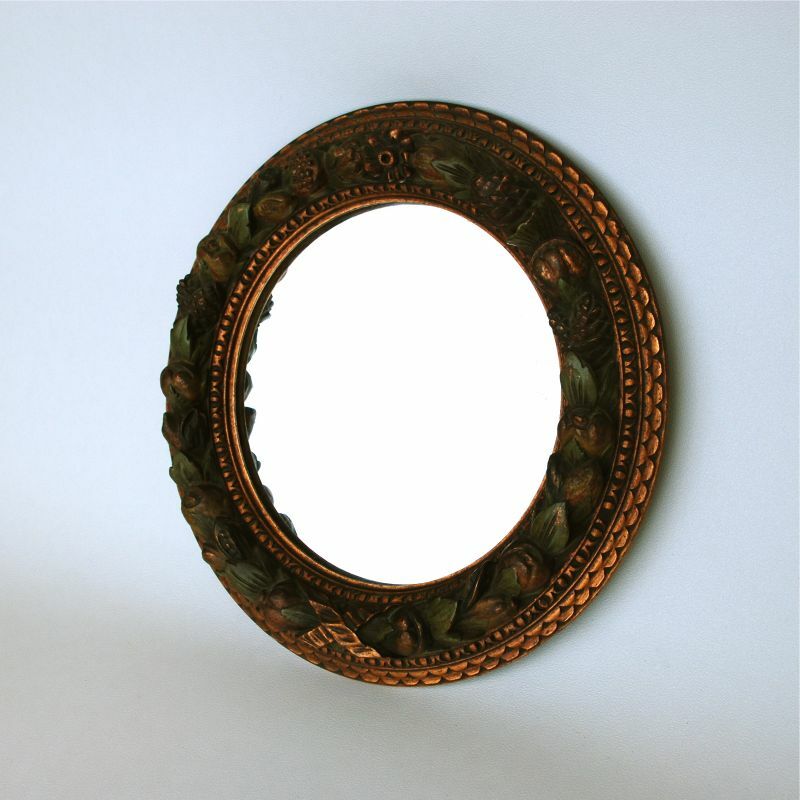 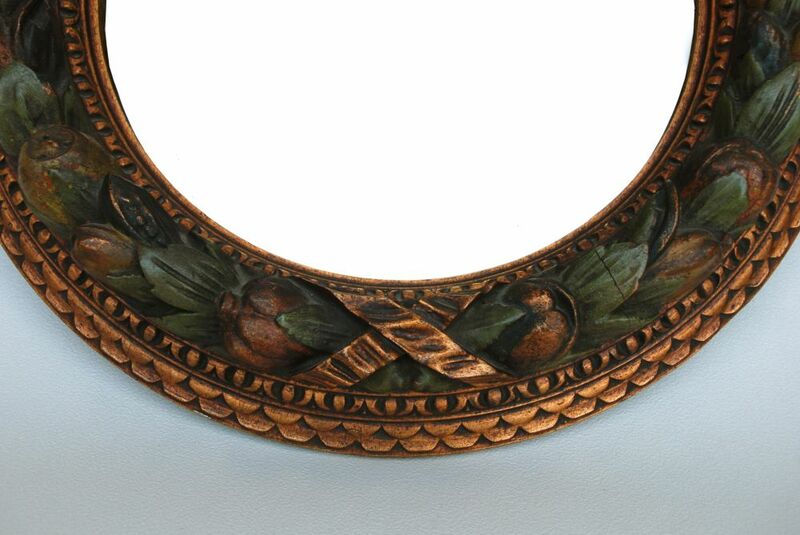 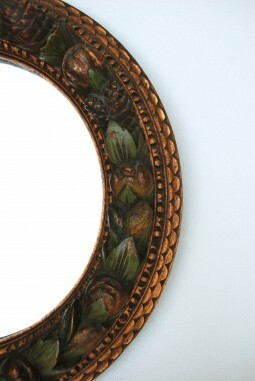 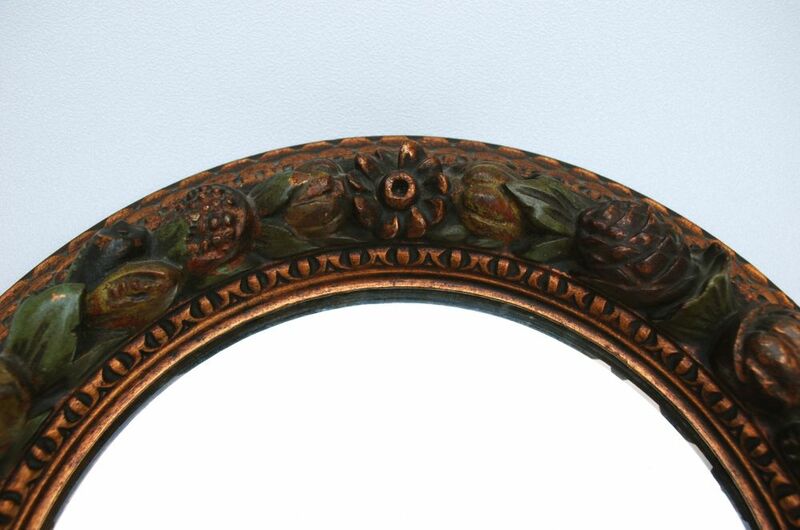 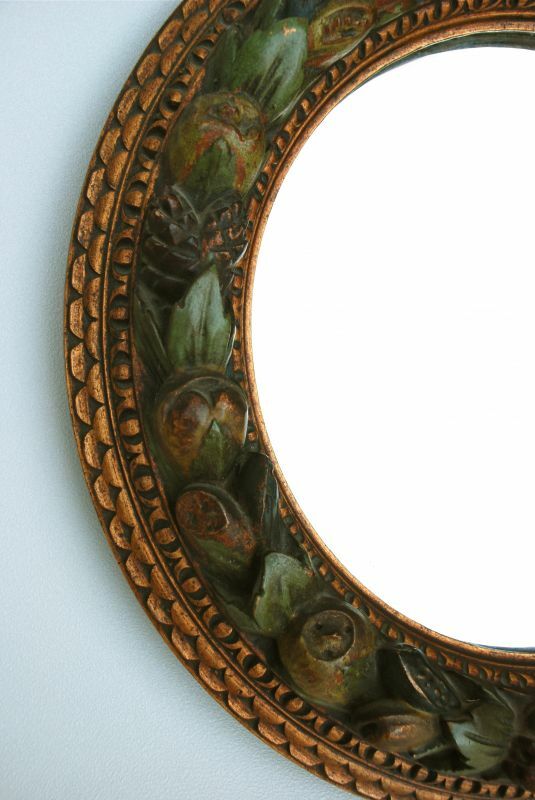 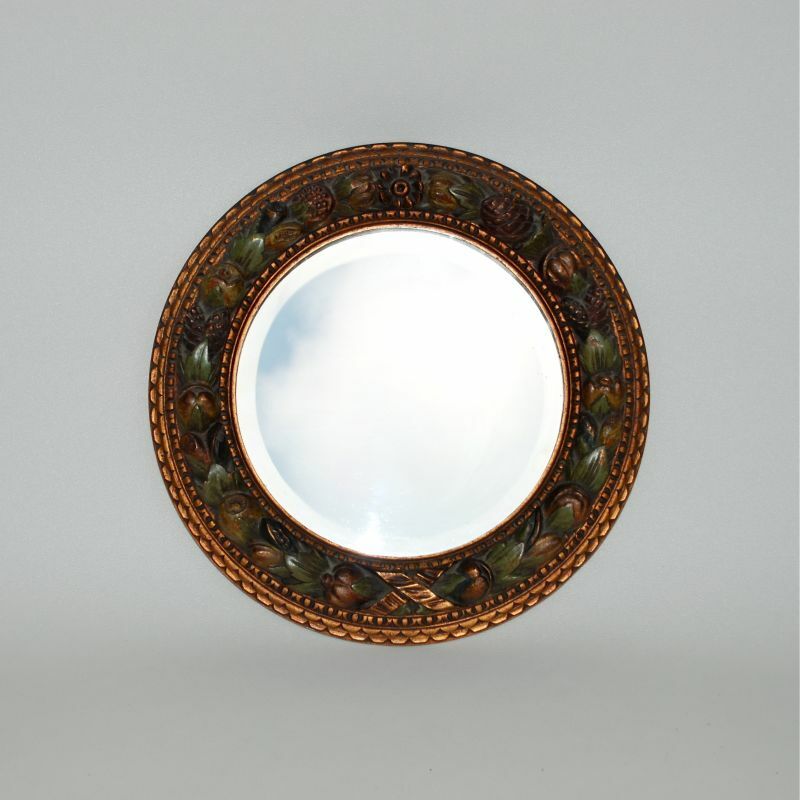 A circular mirror with a bevel edge and a barbola frame. Barbola is the decoration of small articles with coloured models of flowers, fruit, or other ornamental objects made from a paste. 45 cm diameter and 6 cm deep.